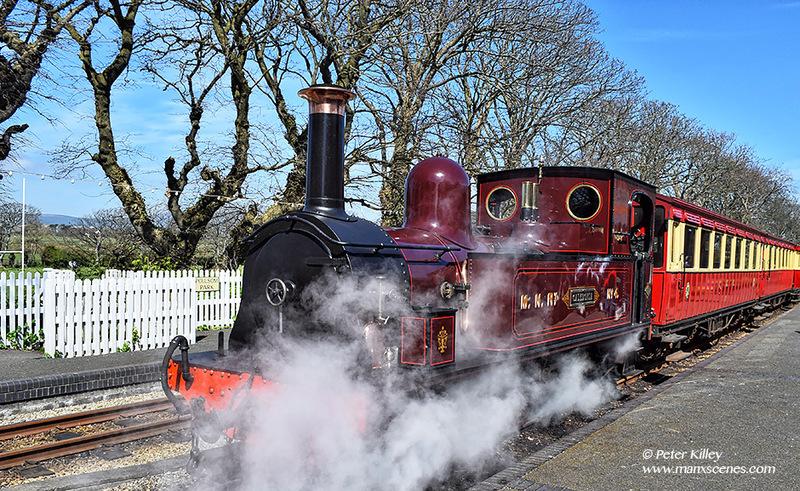 Steam Train No 4 Caledonia at Kirk Michael – Manx Heritage Transport Festival 2018. 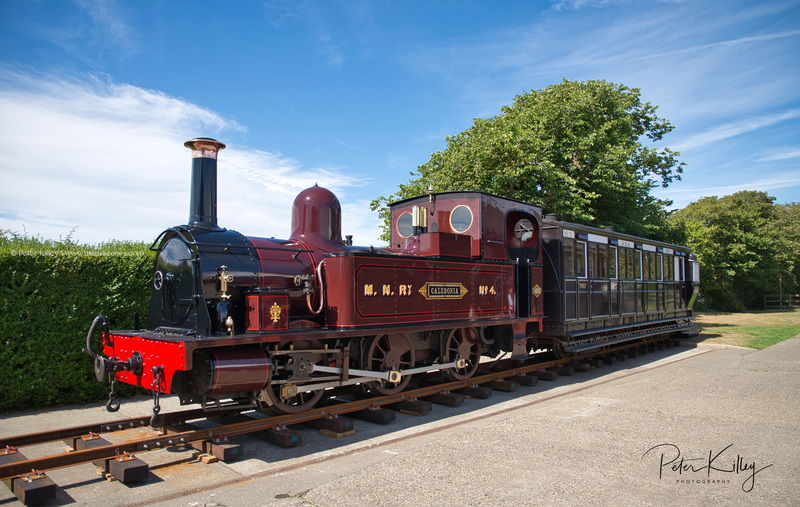 To mark the occasion of the 50th Anniversary of the last train on the Northern Line, a locomotive (Caledonia) will be positioned on track outside an original Manx Northern Station building at Kirk Michael (now Kirk Michael Fire Station). Kirk Michael Heritage Trust will be in the former station building with a photographic display focused on the Northern Line. This will be the first time since closure of the line in 1968 that a locomotive has visited the station. Worth a look on Wednesday 25th July. Isle of Man Steam Railway Loco number 4 ‘Caledonia’ arriving at Castletown Station.